Ames Hawkins’s These are Love(d) Letters is a genre-bending visual memoir and work of literary nonfiction that explores the questions: What inspires a person to write a love letter? What inspires a person to save a love letter even when the love has shifted or left? And what does it mean when a person uses someone else’s love letters as a place from which to create their own sense of self? Beginning with the "simple act" of the author receiving twenty letters written by her father to her mother over a six-week period in 1966, These are Love(d) Letters provides a complex pictorial and textual exploration of the work of the love letter. Through intimate and incisive prose—the letters were, after all, always intended to be a private dialogue between her parents—Hawkins weaves her own struggles with gender, sexuality, and artistic awakening in relation to the story of her parents’ marriage that ended in divorce. Her father’s HIV diagnosis and death by complications related to AIDS provide the context for an unflinchingly honest look at bodily disease and mortality. Hawkins delicately and relentlessly explores the tensions in a father-daughter relationship that stem from a differently situated connection to queer identity and a shared struggle with artistic desire. In communion with queer and lesbian writers from Emily Dickinson and Virginia Woolf to Alison Bechdel and Maggie Nelson, Hawkins pushes exploration of the self with the same intellectual rigor that she critiques the limits of epistolarity by continually relocating all the generative and arresting creative powers of this found art with scholarly rhetorical strategies. 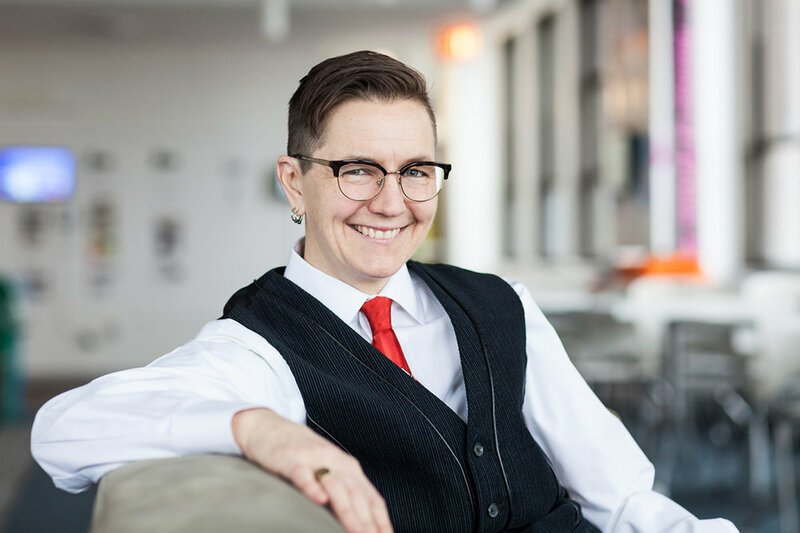 Ames Hawkins is an associate professor of English and creative writing at Columbia College Chicago. She is co-host and co-producer of the podcast Masters of Text.